Oh just stop that cuteness right? My friend Sandra brought these to me for helping her with a project. I couldn’t let something this darling be camera shy. 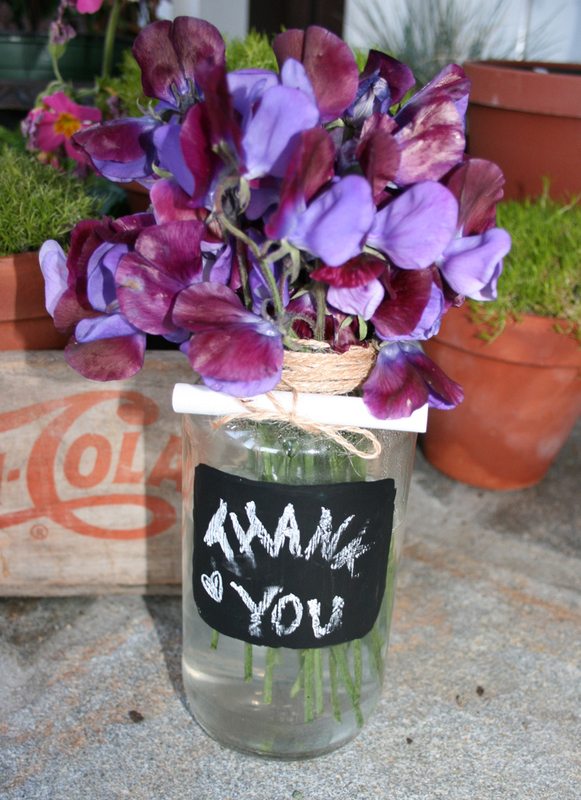 She took chalkboard paint and painted a square onto a mason jar. So simple, but what an impact! And I adore that she tied some chalk onto the rim as well. 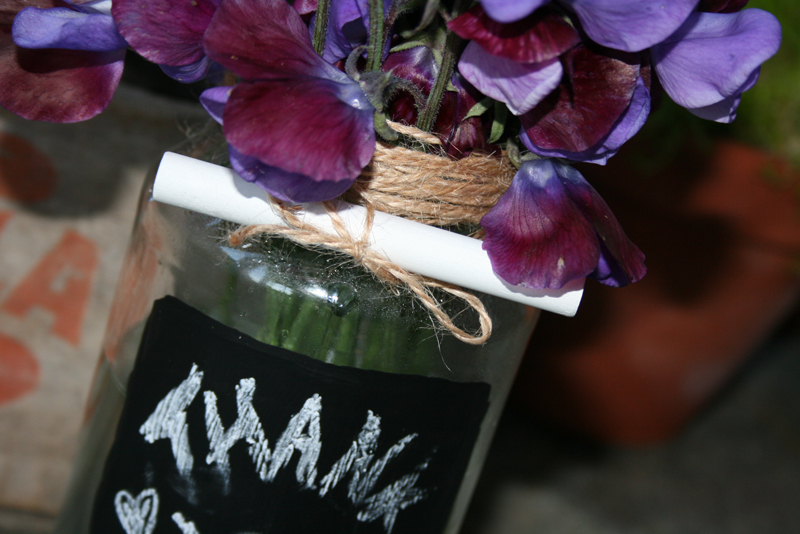 (The sweet peas don’t hurt either! Those are probably in my top 5 fave flowers.) I am thinking of a million possibilities for something like this: Place cards, hostess gift, spelling out a word on a bunch of them with a letter on each one. Grrrr! Too cute! I’m so dang lucky to have such clever friends! 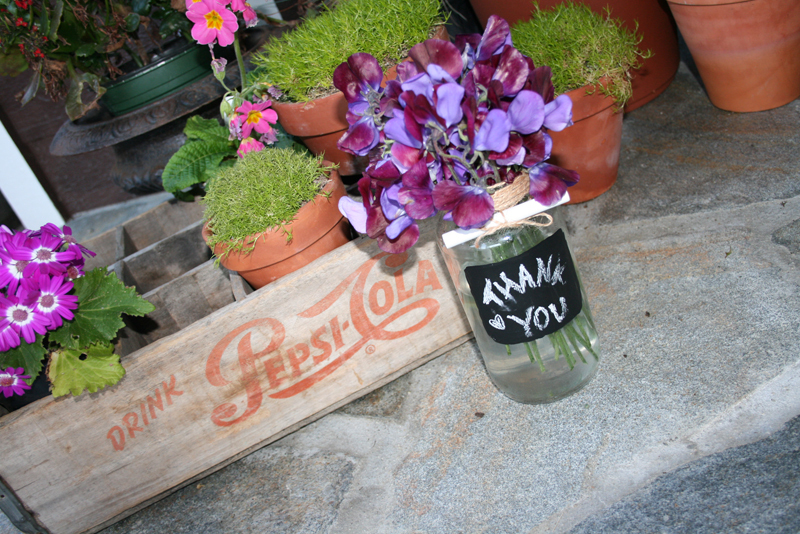 This entry was posted in idea thief and tagged chalkboard paint on mason jar, hostess gift, sweet peas by Annika. Bookmark the permalink. So cute! I just recently learned about the chalkboard paint and am determined to have a chalkboard wall in the house (I’ve already decided where). 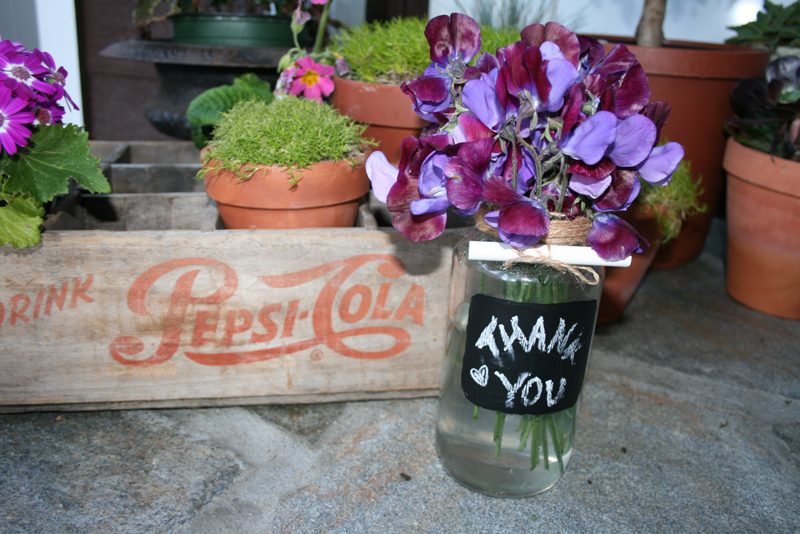 Clever and cute gift idea.